"Have video conferences with various people at the same time with Camfrog Video Chat." If we had to summarize what Camfrog Video Chat is, we could say that it is something like Messenger but with videoconference, as it generally is a instant messaging program specially designed for being used with a webcam. It lets creating chat rooms to talk to your friends and also get to know new people with similar interests thanks to the users directory of Camfrog. 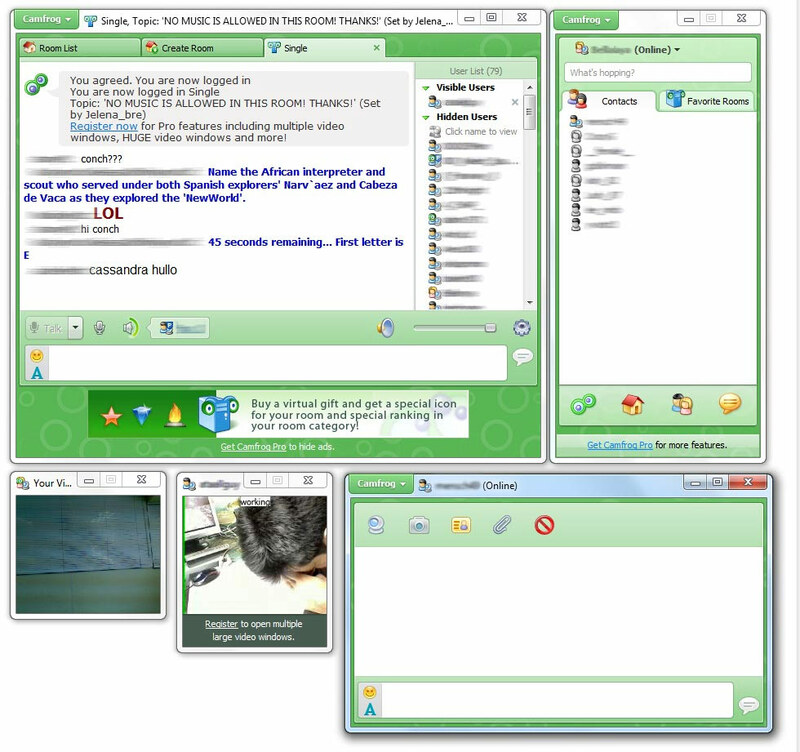 The interface of Camfrog Video Chat is simple and intuitive with design similar to so famous MSN Messenger: a main window with the contact list and another separate window for each conversation. If you are one of those who likes to use webcam, or at least just to receive video calls, you will also be able to chat in traditional way sending instant text messages. But even so, the main feature of this program is that of videoconference. The videochat systems have evolved a lot during the last years and they offer a simple and practical way of staying in touch with our friends, and also knowing new people either in random way or for the same likes and interests. Downloading Camfrog Video Chat we will get a program for simple videoconferences, with a very strong codification system which lets high-quality video transmission with no need for a fast Internet connection and high stability. In fact, this program works much better than other integrated video solutions in other kinds of programs like MSN for example. Among the new features of the latest versions we can highlight Facebook Login, a feature which will keep us away from complex process or creating a new profile as just by pressing a button and connecting our Facebook profile to camfrog we will have a perfectly functioning account with no need of indicating any other information.